Individual travel markets within Southeast Asia showcase distinct shopping and booking trends. 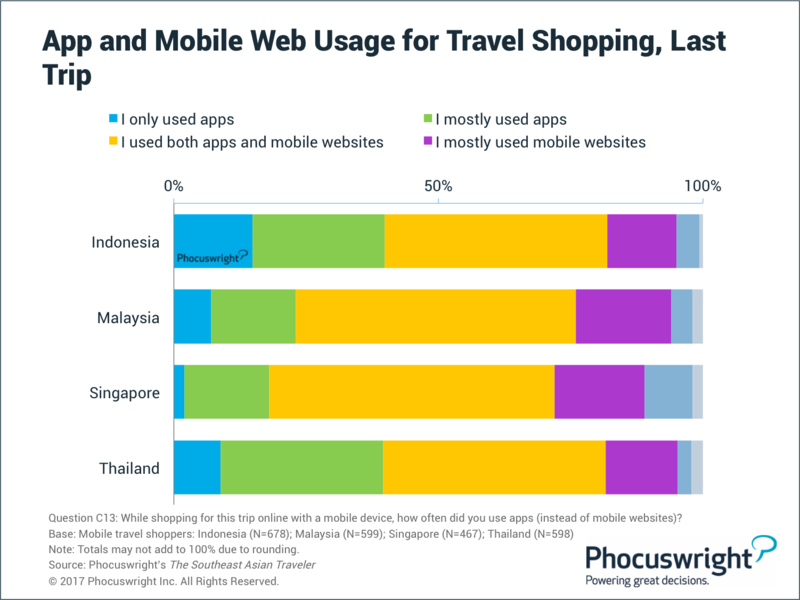 While computers remain the more popular device for travel shopping and booking among ASEAN travellers smartphone usage is on the rise. Travel shopping via smartphones has gained prominence in Indonesia and Thailand. The relatively younger, millennial population adds to the heavy smartphone usage in these markets vis-à-vis mature online markets such as Malaysia and Singapore. In the past 12 months, more than one in two Indonesian and Thai online travellers booked travel via smartphone. Rising mobile travel bookings in these markets is also influenced by online travel agencies publishing mobile-only prices and discounts on their apps. 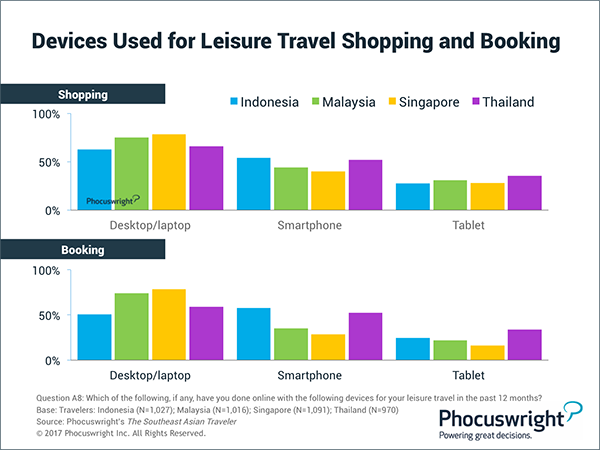 In contrast, travel shopping and booking via smartphones is less popular in Malaysia and Singapore. A relatively consolidated supplier landscape, particularly in the air segment, means distribution status quo and limited consumer incentives to shift from desktop to the mobile channel. “It’s no surprise that the millennials are more comfortable with mobile bookings,” says Phocuswright’s Asia Pacific research analyst, Chetan Kapoor. “Given the younger demographic, Indonesian and Thai travelers have been quicker than their Singaporean and Malaysian counterparts to adopt travel apps.